I hope you are all doing well! I have had a super busy weekend working on some fun projects and getting back into the swing of blogging. I have finally given YouTube another try and I have posted two new videos this week...I would love you to stop by and let me know what you think! It is still all completely new to me, but I am excited about filming more already...even if I still get shy behind the camera haha! I am still not feeling 100%, I have had this cold thing for a little while and it doesn't seem to be budging...my immune system is pretty pathetic at the moment. I thought today I would share with you two of my most recent luxurious body and fragrance additions. I have been a huge fan of Michael Kors for as long as I can remember and even though my collection consists of fashion accessories like handbags and watches, I never actually had the opportunity before now to give their fragrance and body line a try. There is an entire range that is stocked online and in store at Debenhams and there is literally something for everyone. 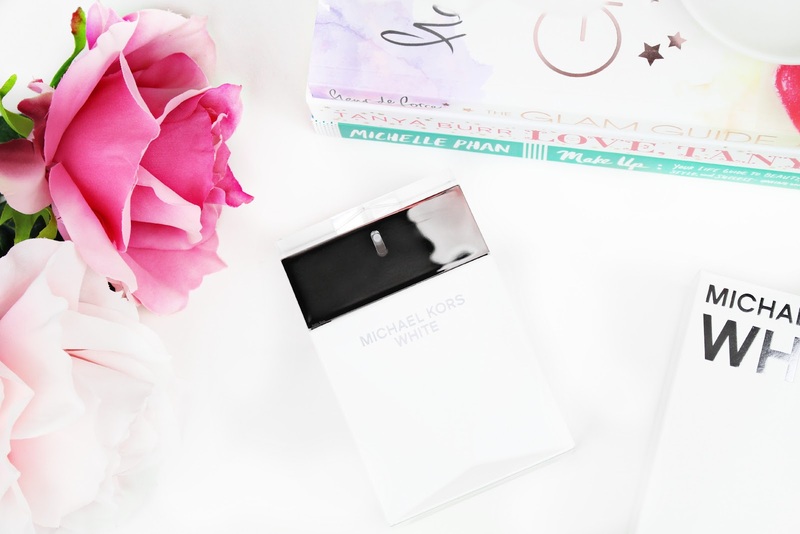 Michael Kors White is the latest addition to the fragrance line and it is absolutely gorgeous! White...a timeless hue is the inspiration for this scent and the combination of tuberose, sweet freesia, white peony, gardenia, Egyptian Jasmine, white musk, tonka, violet leaves, ylang-ylang, vanilla, cedar and amber create the ultimate sheer yet glamorous scent. The scent itself is very distinctive and it definitely has weight and longevity to it. When you first glance at the bottle you will notice that it has some resemblance to the original Michael Kors scent, however, there are some twists. It has a very modern feel with its geometric shape and chunky silver lid with a mirrored accent on the top. I always love the idea of layering body creams and fragrances to make the scents last even longer. Even though the Michael Kors Indulgent Body Creme is not the same scent as Michael Kors White then definitely work really well together and it offers a foundation for the fragrance which delivers deep, lasting moisture and a shroud of scent. The Indulgent Body Creme has a rich, emollient texture that blends easily into the skin, infusing it with much-needed moisture and a dewy glow. As the formulation is quite thick you literally need the smallest amount of product, I can definitely see this product lasting a long time. The overall scent of the body creme is quite woody and musky which I absolutely adore...it has a real familiar scent and I have been obsessed with it recently. The packaging for the Body Creme is also very chic and luxurious. 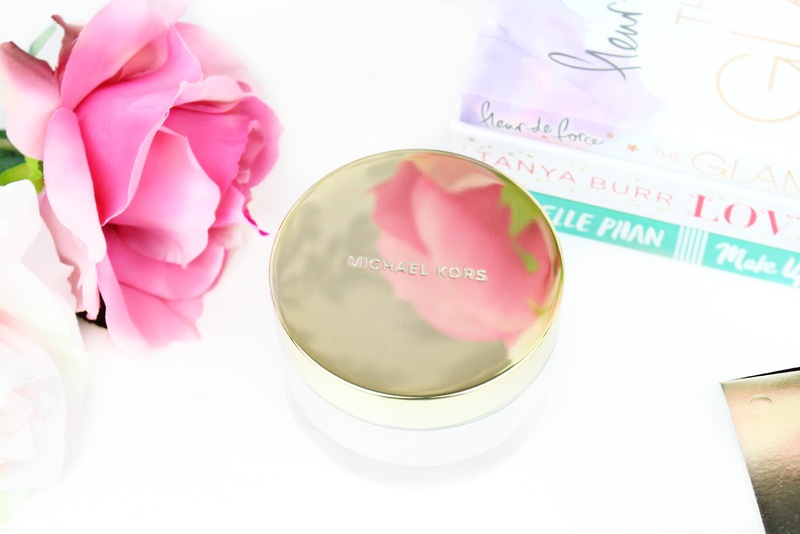 The cream is enclosed in a solid glass jar with a gold lid that is engraved with Michael Kors on the top. Overall, I am extremely impressed with these products and they have been my go-to recently. I think they definitely compliment each other in terms of scent but also in terms of packaging...I mean they would look gorgeous out on display...who else agrees?! haha. Coming in at £79* for the White Eau de Parfume and £42* for the Indulgent Body Creme they are not cheap, however, you are paying for such amazing quality and of course the Michael Kors name and promise. This probably wouldn't be a perfume a body cream duo that I would repurchase constantly due to the price, however, it would definitely be something I would treat myself too on the odd ocassion and of course around the holiday seaosn...these would make lovely Christmas gifts! I hope you all enjoyed this new post and diving into some of the gorgeous Michael Kors treats Debenhmas has to offer. I would love to hear your thoughts on the fragrance and body cream. Like always lovelies, if you have any questions, requests or if you just want a chat you can contact me via my social media or leave me a comment below. I love hearing from you all and I make sure to ready every single comment...they really make my day! Have you tried anything from the Michael Kors Fragrance and Body line? Kor's fragrance line but I want to. There was this one perfume I smelt from them once but forgot the name. This new white scent does sound like it's perfect for me so I'll have to go check it out the next time I'm picking up a fragrance. Michael Kors is such a luxe brand the prices reflect that, but they sound so dreamy! I'd love to try these! no they arent cheap but also not the most expensive out there. Plus they do sound rather lovely! The wife has the perfume and I am on the fence when it comes to the scent, am not too sure whether I like it or not. 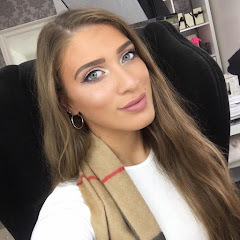 The Cosmopolitan Blog Awards | I'm Shortlisted!